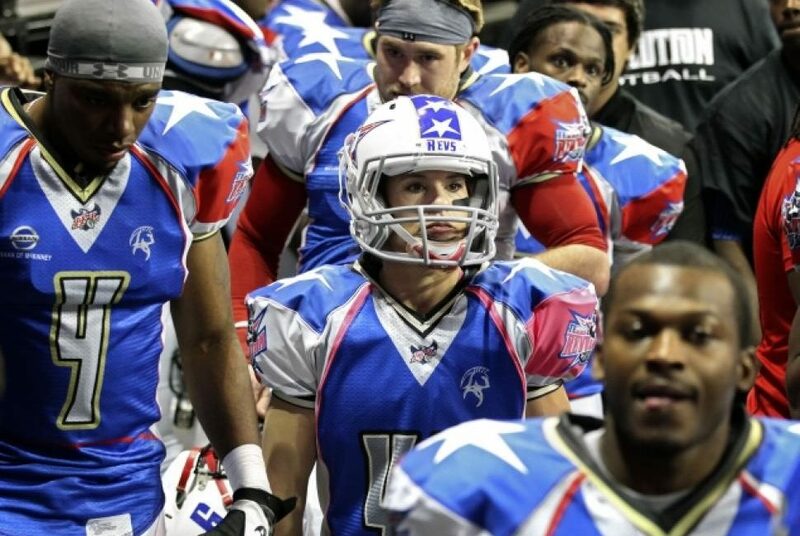 In February 2013, Lauren Silberman made sporting history by taking part in the NFL regional Combine. Regardless of how her try out went, Silbermans appearance in this male dominated event, started the crack in the gender barrier. Of all the women who have seen action in College or Pro Football, almost all have been in Special Teams, as either placekick holder or place kicker. Jenifer Welter was the first woman Running Back to play pro football in 2014, notably Jen was also the first female coach in the NFL, signing with the Arizona Cardinals in 2015. 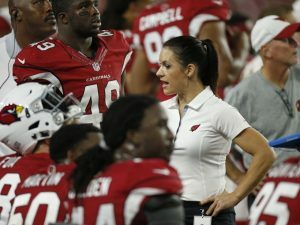 So why are there still no women players in the NFL? Toni Harris wants try. A native of Detroit, she got dropped from one of her childhood teams because she was a girl. She eventually played other sports, but she picked up football again once she got to high school. The first ever women to get a full football scholarship, she joins other female athletes such as Katie Hnida and Becca Longo who played football at the college level, but can she make the jump? And, will she widen the path for others to follow? Since 2013 Womens football has grown in popularity across the pond here in the UK. Starting with a handful of University teams to a full contact 4 conference league, with new associate teams springing up all the time. There is an opportunity to play Internationally and represent GB in Europe. Led by Jim Messenger, the Women’s arm of the British American Football Association delivers a competition structure to grow and develop the game. The Sapphire Series is the women’s national championship for contact football. 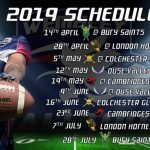 The series, which runs during autumn and winter sees teams compete across a number of tournaments using the BAFA 9v9 format in Division 1 and 7v7 format in Division 2 competitions with the winner of Division 1 gaining the title of National Women’s Champions. The Diamond Series provides all female players the opportunity to compete in the 11-a-side format of the game. Players are drafted from the Sapphire Series teams and from wider development days to one of three regional teams – the Northern Blizzard, the Heartlands Shock and the Southern Blaze. The teams then practice together and play a series of games to determine the Diamond Series champion. 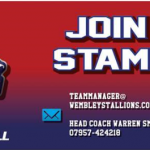 Here at the Wembley Stallions, women have an opportunity to play from 13 years upwards in our Youth (U17), Junior (U19) and Senior teams plus our dedicated Womens team. In fact, the Women’s team is the only squad which restricts athletes to a single gender. Athletes get the same coaching and the same opportunities to develop and succeed. Recruitment is open to newcomers to the sport and no experience is required, just motivation and the drive to succeed and the enthusiasm to try. 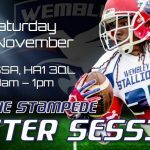 Come and try out at our taster session on Saturday 8th September, contact teammanager@wembleystallions.com for more information.